I use a technique known as ‘naked raku’. This means that there is no glaze on the finished piece: what you see is the ‘naked’ clay. It is an organic method, which works with the elements of fire, water, air and earth (in the form of clay). This technique provides infinite variety; the results which are never the same twice. Each piece that I make in this way is first fired in the normal way in an electric kiln. Depending on the shape of the piece and the effect I wish to produce, I then mask certain parts with a ‘sacrificial’ clay-slip and glaze. 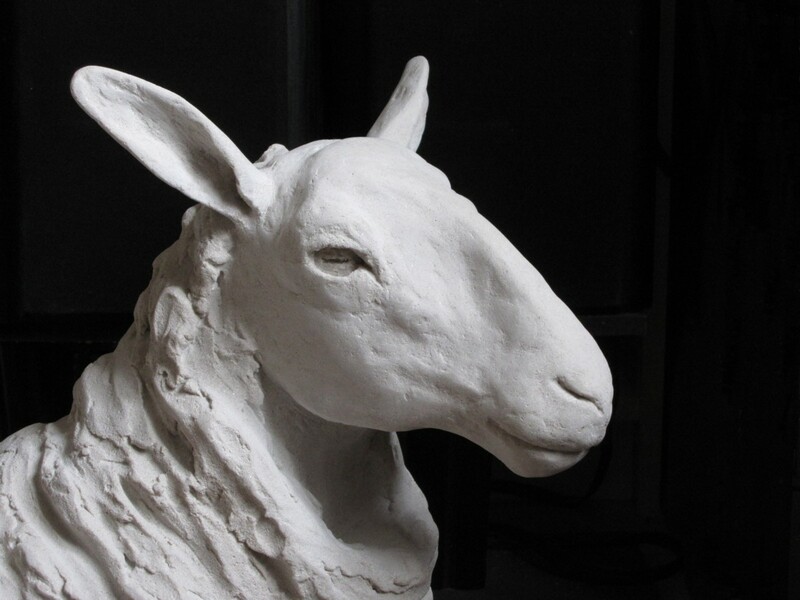 Following this, the sculpture is placed in a raku kiln (a simple gas-fired kiln). When the piece reaches the required temperature of between 800 and 900˚C, it is withdrawn using long-handled tongs and placed amongst wood-shavings and sawdust; the intense heat causes them to immediately burst into flame. The patterns and marks produced are thus part of the piece, rather than sitting on the surface. Naked raku tends to produce markings which are more dramatic and distinct than smoke-firing, which is the other method I often use to produce markings on small ceramic sculptures. As with smoke-firing, the pieces need to be thoroughly cleaned once they are cool enough to handle in order to reveal the markings, as well as to remove unwanted deposits of ash and remnants of the clay masking. Once dry, they are protected with a thin coat of beeswax. 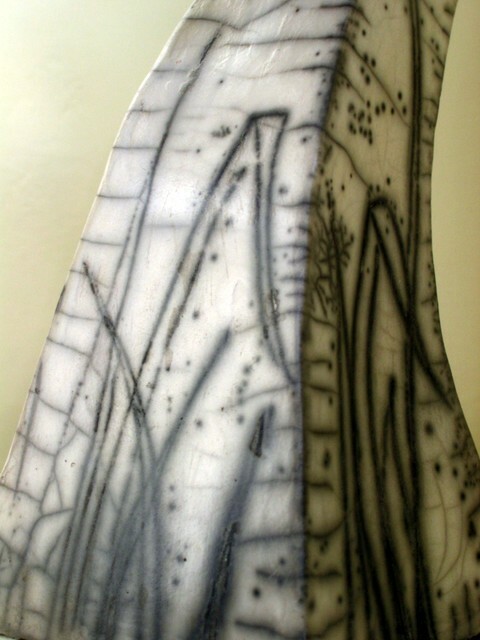 The wax protects both the piece and the markings; however, as with all patinated sculptures, smoke-fired pieces should not be left for long periods inside a window facing the sun, as over time this could affect the markings.